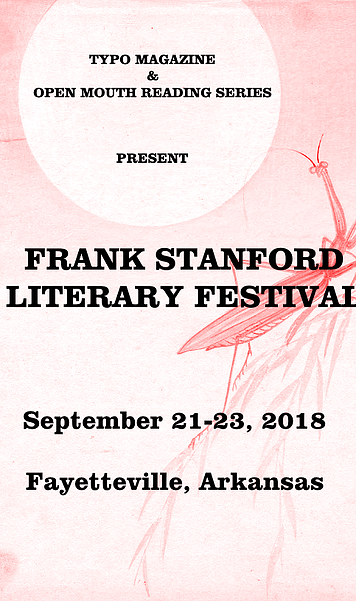 Poets, writers, and readers from all over the country will convene in Fayetteville this month to celebrate the life, legacy, and work of poet Frank Stanford. 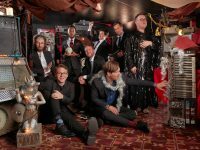 The event is organized by the folks behind Open Mouth Readings and Typo Magazine, and is a sequel to a similar event that drew more than 100 poets from around the country to Fayetteville in 2008. Stanford was born Francis Gildart Smith in Mississippi in 1948 to a widow named Dorothy Margaret Smith, and was soon adopted by a well-off single divorcee named Dorothy Gilbert Alter. Alter, who was the first female manager for Firestone Tires, later married engineer Albert Franklin Stanford, and the family lived in Memphis until Frank was 13. 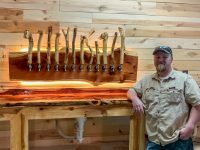 After that, they moved to Arkansas, where Frank attended junior high and high school in Mountain Home and Subiaco before studying engineering at the University of Arkansas. Frank never finished the engineering degree he was seeking from the University of Arkansas, but he did continue to write, and his original and inventive collections of poetry have inspired for decades. His 15,283 line epic poem, The Battlefield Where The Moon Says I Love You was published in 1977, and is probably his best known work, though Stanford created 10 volumes of poetry over the course of his career. Stanford committed suicide in 1978 at 29 years old, where after an argument with his wife Ginny Stanford and lover C.D. Wright, he shot himself in the chest three times with a .22 caliber pistol. Since his death, interest in his poetry has steadily increased, as more and more readers and critics have discovered his work over the years. New York Times critic Dwight Garner called Stanford’s poetry “sensitive, death-haunted, surreal, carnal, dirt-flecked and deeply Southern.” His work is also highly regarded among fellow poets. Alan Dugan called him “a brilliant poet, ample in his work,” and James Wright called him a “superbly accomplished and moving poet.” The Indigo Girls’ song “Three Hits” and Lucinda Williams’ “Pineola” are reportedly about him. Locally, Water Liars / Marie Lepanto singer and songwriter Justin Peter Kinkel-Schuster’s debut solo album, called Constant Stranger, is a reference to one of Stanford’s early poetry collections. 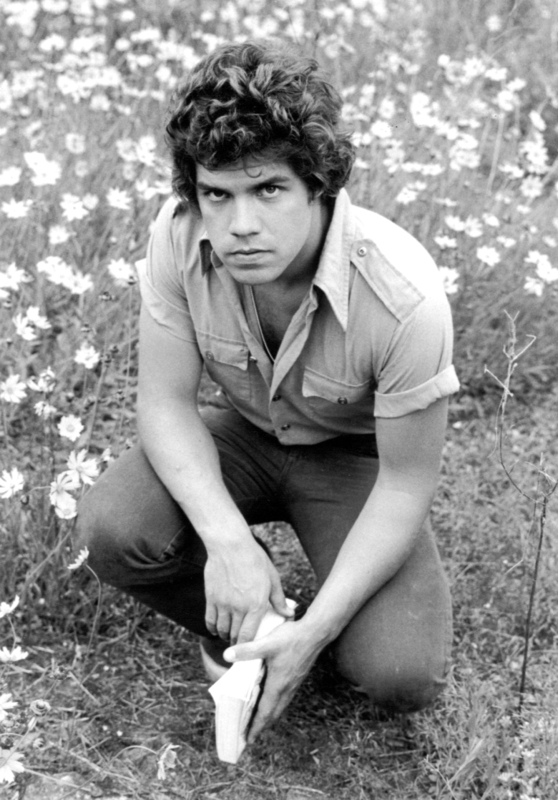 A collection of his poems released by publisher Copper Canyon Press in 2015 (more than 35 years after his death) titled What About This: Collected Poems of Frank Stanford, for example, was a finalist for the National Books Critics Circle Award that year, and sold out its entire 5,000 volume run within weeks of release. The upcoming festival, and the interest it generates nationally, is another testament to Stanford’s legacy. The event will kick off with a reading titled With the Approach of the Oak, featuring readings by Marty Cain, Adam Clay, Whit Griffin, MC Hyland, Canese Jarboe, Shannon Jonas, Megan Kaminski, Katie Nichol, Thibault Raoult, Ariana Reines, Abraham Smith, Bronwen Tate, Shannon Tharp, Wendy Trevino, C. Violet Eaton, Sara Nicholson, and Deborah Woodard, with music by Greg Brownderville. From there, more readings and studies of Stanford’s work are scheduled throughout the weekend. In addition, the festival will include a screening of excerpts from You: Frank Stanford’s Life in Film, an upcoming feature-length experimental documentary on Stanford’s life and work. The festival will also include readings of the work of C.D. Wright, the Arkansas-born poet and Lost Roads co-founder who was a longtime companion of Stanford, and who won the National Book Critics Circle Award for her 2010 collection, One With Others. Wright passed away in 2016. The festival will be free and open to the public, though organizers are accepting donations to help cover their costs. A full schedule of events for the upcoming festival is available at openmouthreadings.com.